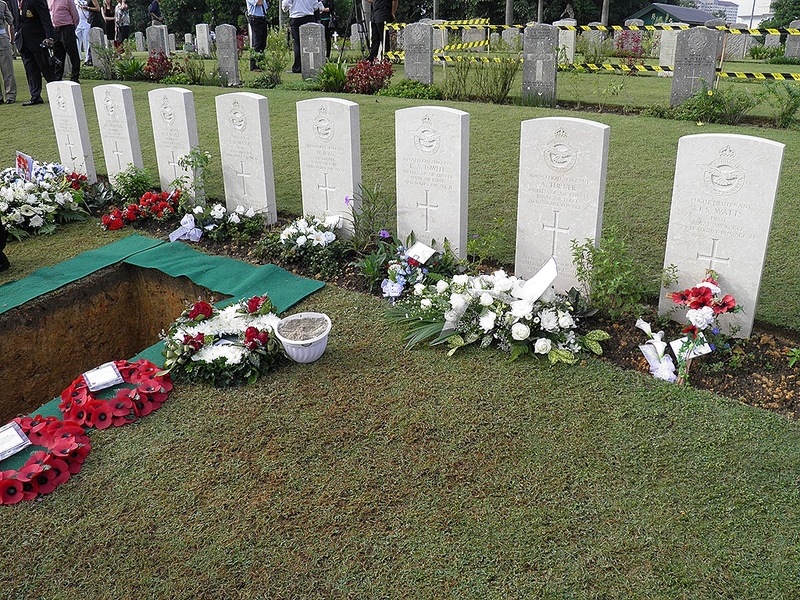 The remains of eight crew members of RAF flight KL654-R were permanently laid to rest on 18 October 2012 in a burial service with full military honours at the Cheras Road Cemetery, Kuala Lumpur, some 67 years after their B-24 Liberator crashed on 23rd August 1945. The crew had taken off from their base at Brown’s West Island airstrip in the Cocos (Keeling) Islands in the Indian Ocean around 1,000 km south of Sumatra along with four other B-24s from Squadron 356. Sadly KL654 never returned and is believed to have clipped a tree before crashing into dense jungle on Gunung Telapak Buruk (a 1193m high mountain in Negeri Sembilan, Malaya) with no survivors. 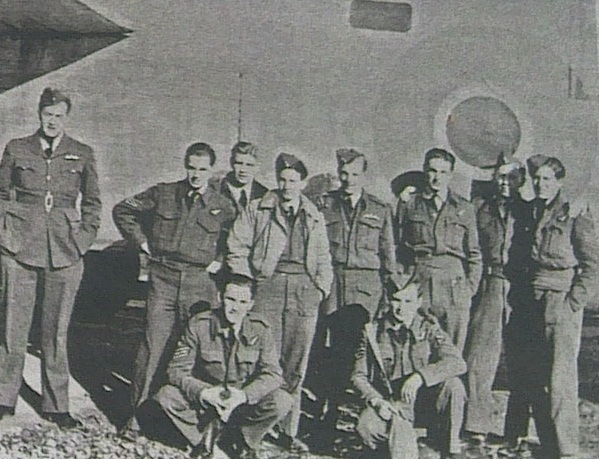 The War had officially ended eight days earlier and their mission had been to drop supplies of food and medicine for Allied POWs, still imprisoned and in poor health, in a camp at Kampung Langkap not far from the crash site. They may also have been dropping leaflets announcing the end of the war because although Emperor Hirohito had, on 15th August, instructed his forces to lay down their arms, surrender in Malaya did not occur until 13th September. This was mainly because there were no allied troops on the ground to surrender to, apart from the tiny numbers of special forces in Force 136 who were emerging from their jungle hideouts along with units of the Malayan People’s Anti-Japanese Army. It is thought that the crash site was first discovered in the 1950s by orang asli tribesmen who reported it to the British Army. However no action was taken at the time as the Malayan Emergency was in full swing and the army feared a trap by communist insurgents. Later efforts to search for the wreck were thwarted by lack of funding and initial reluctance by the UK Ministry of Defence to support recovery of the remains. In 2006 the Malaya Historical Group, following two expeditions to the wreck site, positively identified it as belonging to KL654. In 2007 MHG organized another trip with involvement of the Malaysian Army and two British participants, former Apache pilot and author Ed Macy and police detective Clayton Ford, and found various personal belongings of the crew such as rings, a gold bracelet, dagger, dog tag, coins, a tiny doll, spectacles and a water canteen. Some 80 bone fragments were recovered over the following years which have since been DNA tested to confirm their identities. Flying Officer William Kenneth Dovey, 166352 from Ludlow, Salop (20 years old). 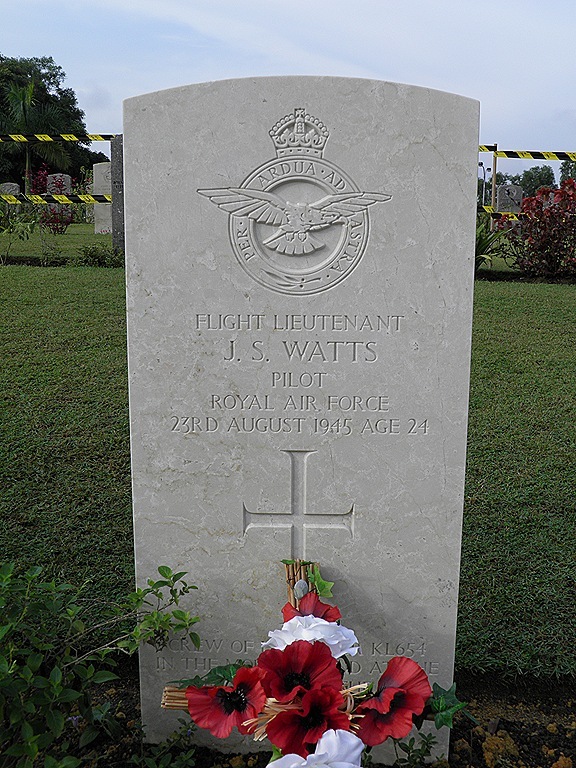 The commemorative service, conducted by The Reverend (Wing Commander) Jonathan Beach RAF, was dignified and respectful. There were readings from the British Defence Adviser in Malaysia, Captain Kenneth Taylor RN, Wing Commander John Dunne RAF and Warrant Officer ClassII Paul Cross. 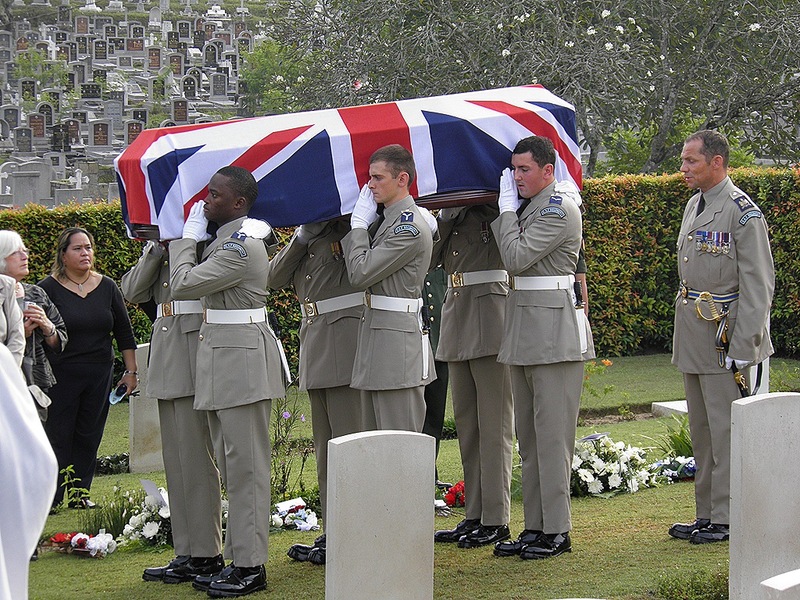 Pall bearers were from the RAF Regiment and a Gurkha bugler provided the Last Post and the Reveille. 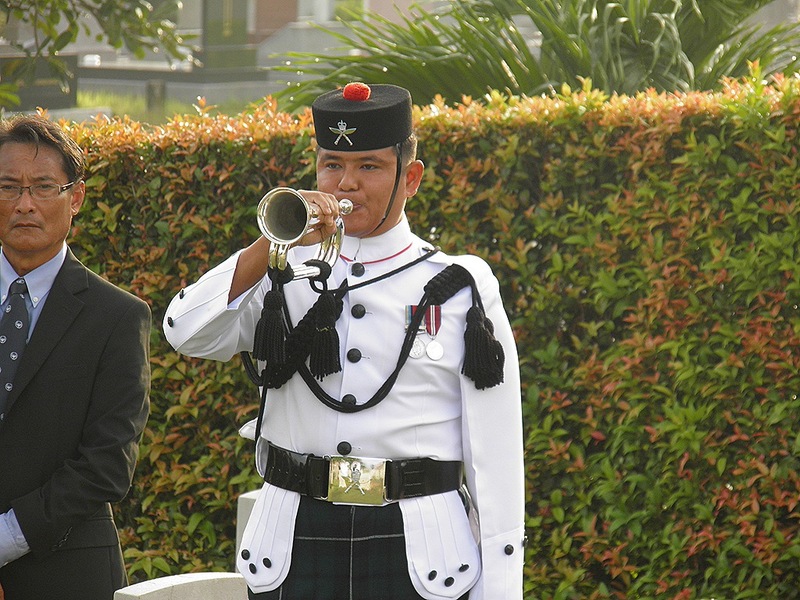 Members of the Malaysian Armed Forces and the British High Commissioner were also present. 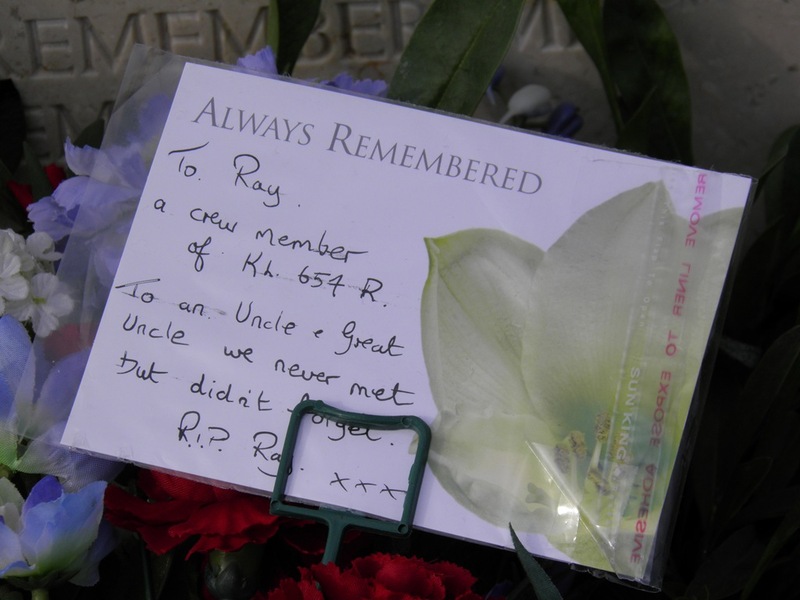 Around twenty relatives of the deceased had been flown out from UK for the occasion at the expense of the Government (making up for the MOD’s earlier reluctance to search for the remains). The closest relations in attendance I believe were the younger brothers of Flying Officer Dovey, now of course well advanced in years. It was clear that all the family members found the service moving and beautiful and an appropriate honour for the valour and sacrifice made by their relatives’ generation.